The final part of the annual Halloween Special! With under 15's accompanied by adults going FREE on our ghost tours, we thought it only apt to turn this episode over to Milo & Isobella (both aged 10). Milo and his mates discuss the existence of ghosts with a big, healthy dose of scepticism while Isobella looks at horror movies. There's a London Walks ghost tour every night - visit www.walks.com for full info. Part Two of the annual Halloween Special! Andy looks at exorcism and the occult in Shakespeare while Adam compares Frankensteins and pays tribute to that great South Londoner Boris Karloff. It's the annual Halloween Special Podcast! In this episode Andy & Adam turn their attantion to Horror Movies - Andy spends time with The Exorcist and Adam watches three versions of the Mummy. 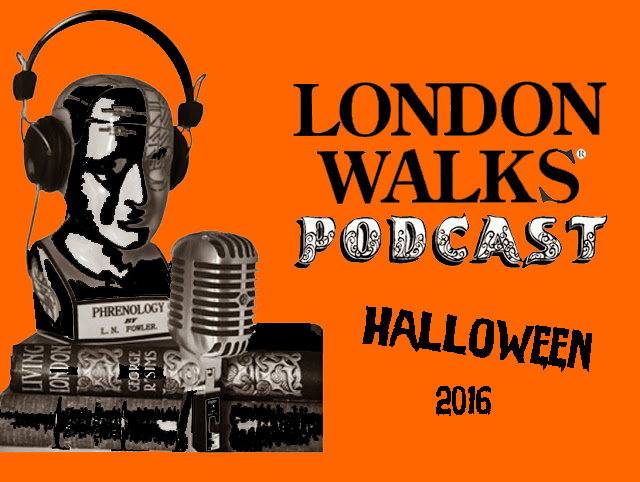 You can join both Andy & Adam on ghost tours at Halloween with London Walks. 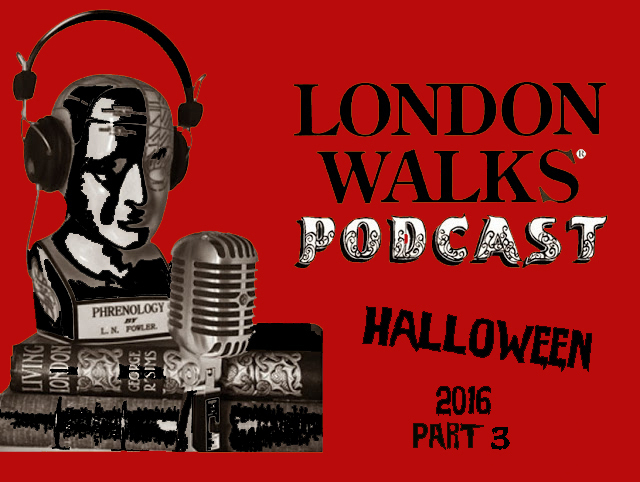 Part two of this Halloween special will turn the spotlight on Shakespeare & Mary Shelley. Andy is leading guided 5K running tours! 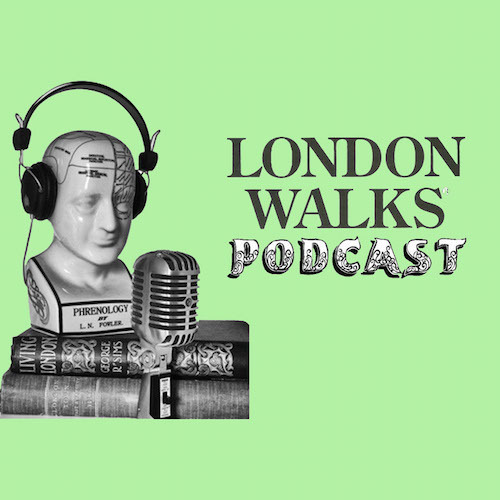 In this episode of the London Walks Podcast Adam interviews Andy about his new running tours - talking running, prep, gear, diet, apps and everything you need to know about joining one of Andy's Guided London Runs. This podcast was recorded live on a rehearsal for the 5K running tours in February 2017. Will Adam make it to the end of 5K? Or will expert runner & historian Andy leave him for dead? The Morning Run with London Walks! Good for mind, body and soul. London Walks Runs. Debuting in the Summer programme. Andy – a committed jogger – has put them together and will lead them. First one is on 4th May from affluent, fashionable Holland Park and Kensington to The Royal Albert Hall, Hyde Park, Speakers Corner and Marble Arch. 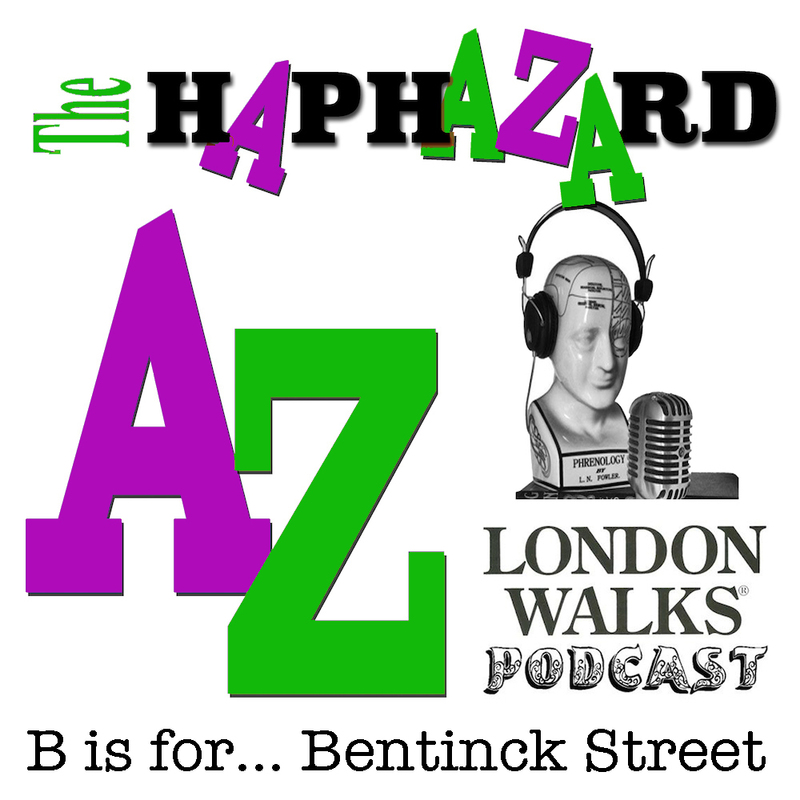 Episode 2 of The Haphazard A-Z of London. 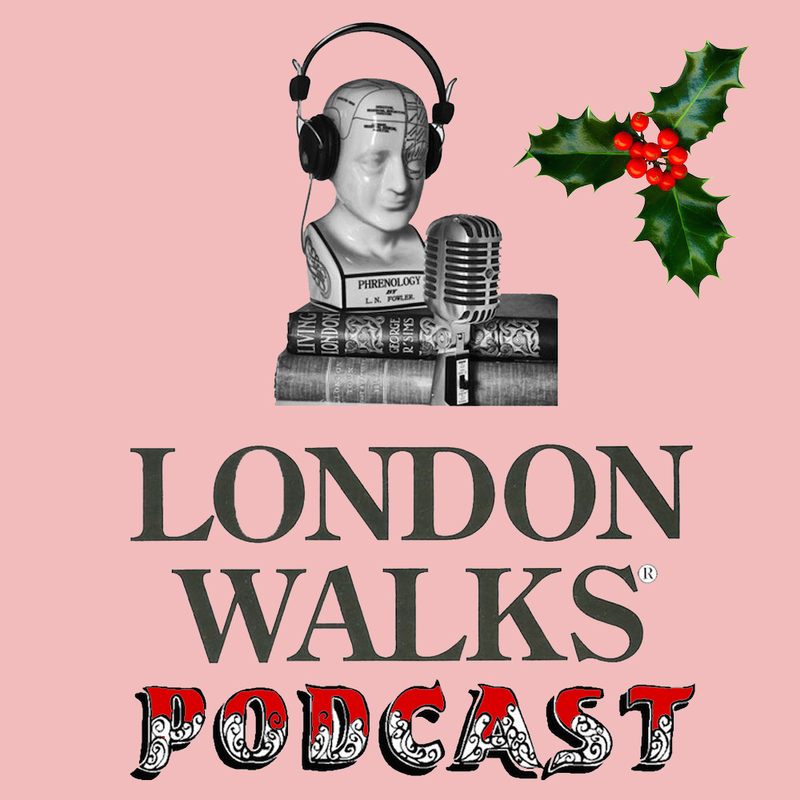 As Andy and Adam shoot the breeze in Marylebone they uncover an illustrious thoroughfare - 200+ years of celebrity in Bentinck Street! Adam stays up late to watch horror movies - The Wolf Man & Nosferatu. You can download The Wolf Man from iTunes HERE. You can download Nosferatu from iTunes HERE. 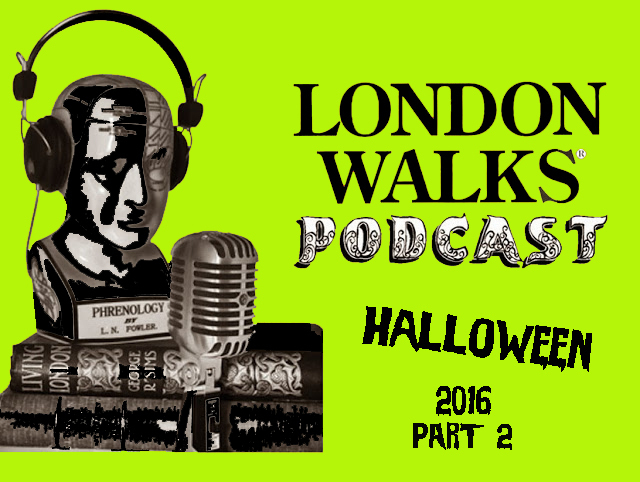 The annual London Walks Halloween Podcast… Part Two! Andy and his new podcasting partner, nine-year-old Milo take a look at pumpkins! It's the annual Halloween Podcast! For this episode Andy and Adam visit Brompton Cemetery in search of a time machine with occult powers! In part two we'll be discussing pumpkins and classic horror movies. 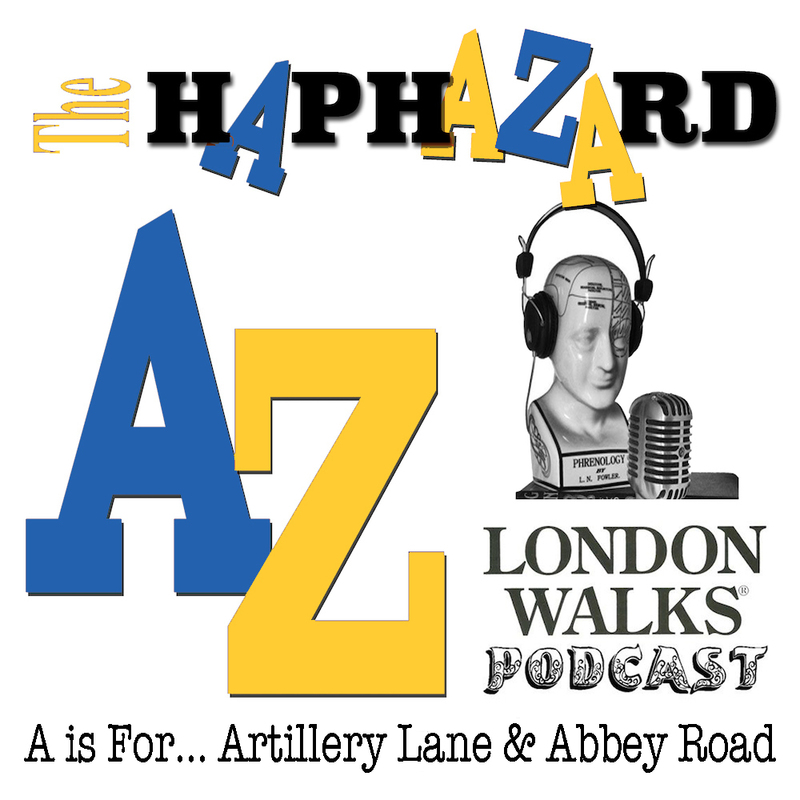 Episode One of The Haphazard A-Z of London! Andy visits Artillery Lane, one of the oldest corners of Spitalfields while Adam goes in search of the other Abbey Road.